Gov. Chris Christie’s former senior official who planned the closures of lanes on the George Washington Bridge at the center of the scandal known as “BridgeGate” wants to spill the beans. David Wildstein’s attorney told the press twice this weekend that his client wants immunity to tell the real story of what happened last September. 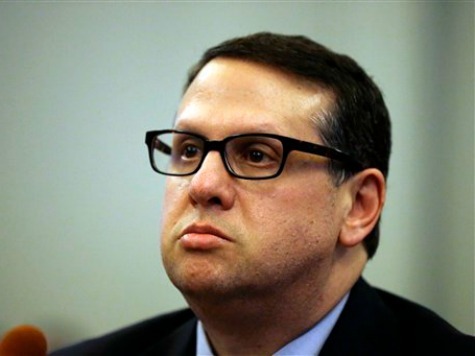 Wildstein, whose involvement in the lane closures is directly implicated in emails released by the New Jersey Legislature, has remained silent throughout the ordeal. He resigned from his position at the Port Authority shortly after investigations began and was held in contempt when initially subpoenaed before the legislature for pleading his Fifth Amendment rights as a response to every question. Wildstein also censored significant information in the documents he provided to the legislature’s investigative committee, including the identities of some authors of incriminating emails. But Wildstein is now singing a different tune, offering, through his lawyer, to tell his entire story and offering emails and other exchanges in documents as proof of his testimony–but only in exchange for immunity. “He would be in a position to shed significant light upon what had occurred,” attorney Alan Zegas told The Record. He added that Wildstein has information that “has significant public value” and hopes his client, despite being censored for not cooperating the last time he testified on this matter, has a reputation publicly for “being willing to say what he knows about what happened.” Zegas explained to the Wall Street Journal that one of the reasons he and his client “stopped talking to everybody” was to protect sensitive information from leaking to the press. Wildstein’s testimony is a critical piece of the bridge scandal story yet to be told and likely a necessity to implicate anyone (except, ironically, Wildstein) for certain. Wildstein had been hired from his previous job–as an anonymous blogger famous for selling Politicker NJ to the New York Observer and giving MSNBC’s Steve Kornacki his first major reporting gig–to be Christie’s “eyes and ears” in the Port Authority. The emails about Wildstein seem to give Wildstein precisely that role, as Christie’s former Deputy Chief of Staff Bridget Kelly orders Wildstein, “Time for some traffic problems in Fort Lee.” Wildstein was at the George Washington Bridge, personally making sure lanes were closed off to the town shortly thereafter, and he called Mayor Mark Sokolich an “idiot” in private correspondence. Wildstein would only be able to provide two kinds of testimony: that he masterminded the entire plan to disrupt Fort Lee’s traffic himself, or that he did it as a favor to–or command from–someone else. If Wildstein thinks he deserves immunity for it, he must necessarily offer the NJ Legislature someone else’s head for this mess. The current evidence on the table leads only to Wildstein as the guiltiest party. Should the legislature accept Wildstein’s offer, his testimony would come at a most inopportune time for the Christie administration. In the aftermath of the initial bridge scandal investigation, Christie has now been fielding accusations related to an entirely different potential embarrassment: a federal audit on his administration’s potential misuse of Hurricane Sandy relief funds and an accusation from a mayor affected by the hurricane that Christie’s second-in-command, Lieutenant Governor Kim Guadagno, held Sandy funds hostage in exchange for approval of a real estate project in the hands of a Christie crony. The two stories have combined to make the initial hubbub regarding the George Washington Bridge die down, but nothing could revive it like the story’s major antagonist coming forward for a second time–and this time actually speaking.